The morning sun beats down on a fleet of psychedelically painted trucks in a Claiborne Avenue gas station parking lot. They wait, generators humming, while their commander gazes on, quietly contemplating the day’s mission. It’s almost lunchtime, and Rubens Leite must decide where in this vast city New Orleanians are most hungry for tacos. In November of 1992, Leite (pronounced LAY-tay) was working as a convenience store clerk in New York City. Having just left behind a life as an electrical engineer in his native Sao Paolo, Brazil, Leite was looking for his next step. Inspiration walked up to him at the cash register. And so, over the next 13 years, Leite gradually built a fleet of nearly a dozen mobile food trucks, vending affordable street fare all over the five boroughs. Then in October 2005, a friend in New Orleans called him up. At the time, Leite was selling American fare from his trucks in NYC, and he brought the same with him when he came to New Orleans. He soon realized, however, that the bulk of his clients were Hispanic construction workers, hungry for more familiar flavors. Within months, he transitioned to a menu of tacos, burritos, quesadillas, and tamales, and never looked back. As his business has expanded in the last few years, so has his workforce. Leite hand-picks his employees for their talents at particular dishes. So where can you find Leite’s comida fresca? His trucks are stationed at the corner of Claiborne and Louisiana, just feet away from Taco Party, his first restaurant. The trucks change location daily, but University Hospital, Chef Menteur highway, and the Naval Base in Algiers Point are common destinations. Leite also runs Benny’s Seafood on Van Trump Street in Gretna, and takes over the kitchen at Café Negril on Frenchman Street every night at 8pm. Leite was one of the first to bring taco trucks to New Orleans in the post-Katrina days, introducing a whole new category of street food to the city. 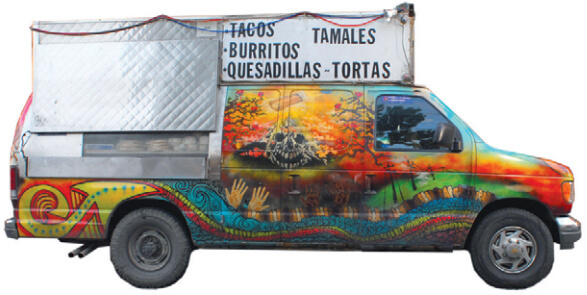 These days, taco trucks can be spotted fairly frequently around town, from Harahan to New Orleans East. But there’s no mistaking Rubens’ trucks. Each one is hand-painted by local artist Justin Winter to resemble a candy-colored dreamscape. One is wrapped in purple squid tentacles; another is populated by crazed banditos with pinwheel eyes. It’s difficult to pass by one of these trucks without pausing for a closer look. But, while the murals will draw you in, it’s the food that will bring you back. “Usually, you buy a taco you can hold it in one hand, eat. I give you a fork because my tacos are too much to hold,” Leite brags of his handful-and-a-half sized creations, topped with a rainbow of red tomatoes, white onions and fresh green cilantro. But if tacos aren’t your thing, his other dishes are sure to please as well. The pork tamales are creamy and delicate, and the five-dollar burritos are big enough to be half eaten and saved for later. “You do good when you do what you like,” he explains. “I have a tamale girl, a pineapple pork girl…you see her?” Leite points to a young woman who has just entered through the front door of Taco Party. “Damaris, she is my gordita girl. And she makes pupusas, too.” Damaris quietly retreats to the kitchen to confer with Xiomara Alvarez, another of Leite’s specialists. Alvarez hand makes tortillas for some of the menu items, but today she is working on a traditional Honduran dish called pollo con tajadas, a chicken and fried green banana dish with two kinds of sauces. She explains that the specials at Taco Party change daily, and the menu varies from location to location. You can get tongue tacos at Taco Party, for instance, but not at Café Negril. Café Negril could be considered Leite’s flagship of stationary food service. 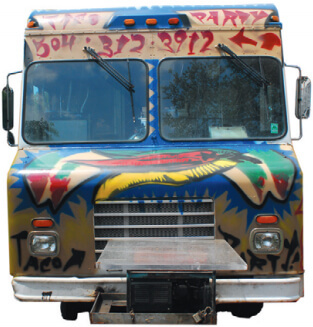 Before moving into Negril’s kitchen, Leite only operated his trucks, including one that regularly appeared weekend nights on the corner of Frenchman and Royal streets. That location was one of his most profitable, thanks to late-night hordes of hungry revelers in the neighborhood. But after vending there unbothered for four years, the city began ticketing him last March, citing a 1956 code specifying that mobile food vendors were not to operate within 600 feet of any restaurants. This baffled Leite, because in order to obtain one of his many permits required by the city, he had already gotten signatures from all of the neighborhood restaurant owners allowing him to be there. Furthermore, he only operated after they were all closed for the night. It’s not the first time Leite has felt unwelcome by municipal government. 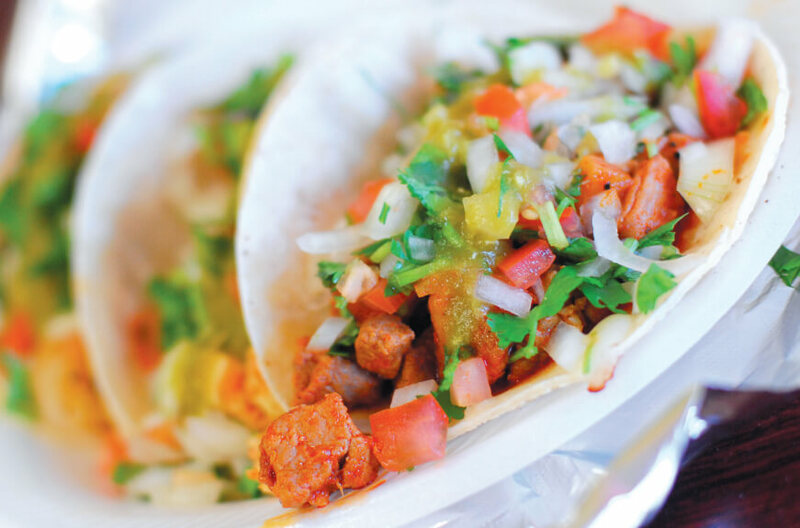 He was operating a number of trucks in Jefferson Parish before they banned taco trucks altogether in 2007, a decision that was widely accused of being discriminatory against Hispanics. It’s hard to say what’s motivating the city’s current enforcement against his trucks, but he is dutifully showing up for court dates and petitioning hard to have the law amended. In the mean time, Café Negril is happy to host Leite’s kitchen operation, as it draws more customers into the bar. While ordering from the bar may not carry the same romance as truck service, many of his costumers are pleased to have him around seven nights a week now, instead of just weekends. When the subject of truck versus counter service comes up, Leite is open about the fact that times are changing for his business model. The recent code enforcement against his trucks coupled with a decline in construction sites around town have led him to focus more on his restaurants and to re-purpose his trucks. He says the bulk of his truck income these days comes from getting hired for private parties and movie productions. The movie Earthbound hired him to cater for the crew a few times, and Leite now counts Kate Hudson as one of his biggest fans. HBO’s Treme will even be including his colorful trucks in season one episodes. But Leite isn’t letting court dates or Hollywood roles distract him from his basic principles of good Latin food at street-fare prices. Stop by Taco Party any day of the week, and you’ll find Leite presiding over his very own taco empire. You won’t leave hungry.